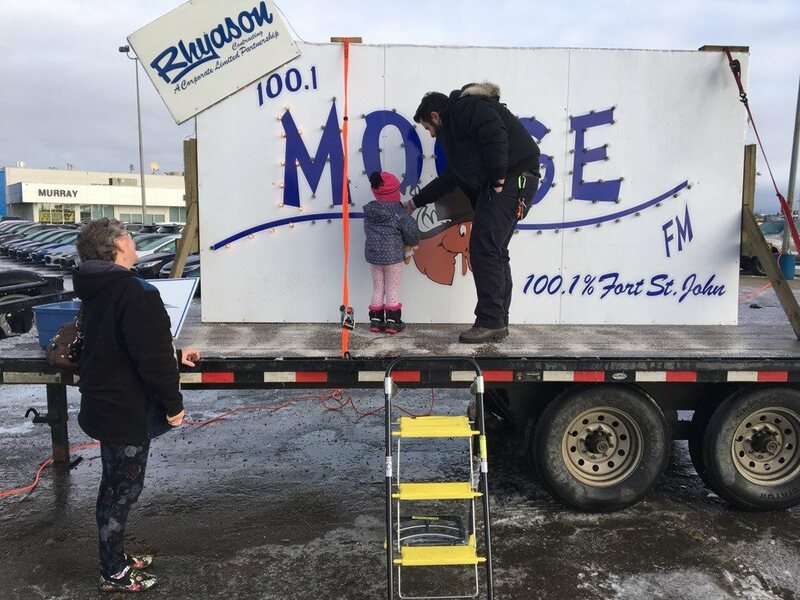 The 15th Annual Light a Moose Radiothon took place on Nov 28 – 30 in the parking lot of Murray GM Fort St. John. This amazing community heard the FSJ Hospital Foundation’s message on 101.1 Moose FM and drove through fog on slippery roads, padded through an icy parking lot, and some of our youngest community members even emptied their piggy banks. The 2018 goal was to raise $63,000 to purchase a Portable Ultrasound Machine with F.A.S.T. Technology to better guide the management of patients in the Emergency Department and help reduce patient wait-times. Pembina Pipeline Corporation made a commitment to match every dollar raised (up to a total of $25,000). Individuals and local companies donated $25,000 by the end of day 2 and Light a Moose received the maximum corporate match from Pembina Pipeline Corp. in the early morning of day 3; bringing the total to $50,000. Murray GM donated $20 for every oil change purchased on location at Light a Moose and raised $1,720. The final total raised was $94,331.50, vastly exceed the initial goal by over $30,000. Not only did the community raise enough money for the Emergency Department’s Portable Ultrasound Machine with F.A.S.T. technology, the Hospital Foundation has the opportunity to look at purchasing other needed technologies for the community. Executive Director of the FSJ Hospital Foundation, Niki Hedges, would like thank all the individuals, local businesses and local corporations that helped raise this amazing sum; as well as the Moose FM Crew for their hard work and dedication. © 2019 Fort St. John.